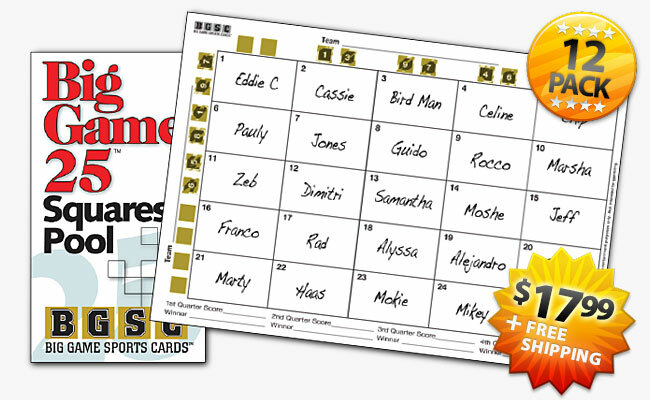 Football Scratch Card Games - 25 Squares Pool | Free Shipping! Designed for small gatherings, our compact and easy to use BIG GAME 25 SQUARES POOL card is printed with gold scratch off covering all scoring numbers. Simple. Each player gets 2 numbers per team. 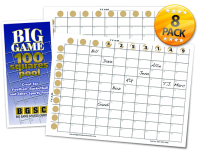 Played the same way as our 100 Squares game. Just sign ‘em up and get scratching!